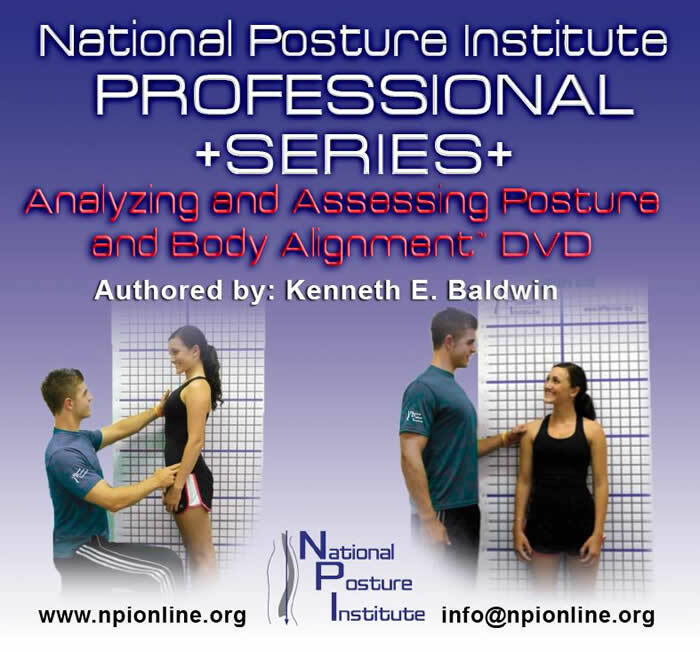 The National Posture Institute’s Professional Series- Analyzing and Assessing Posture and Body Alignment™ DVD is designed for personal trainers, group exercise instructors, athletic trainers, allied medical professionals (physical therapists/chiropractors) interested in learning a detailed process to analyze and assess posture and body alignment in your clients/patients of all ages and health/fitness levels. You will learn a systematic process to implement the National Posture Institute’s Posture Assessment Program™ that will lead to a larger client/patient/membership base for you, your department, and/or company. Through a detailed posture analysis, you will have a better understanding of how to quantify and provide detailed posture images and information to your clients/patients to produce better short-long term results in correcting posture imbalances and alignment issues.